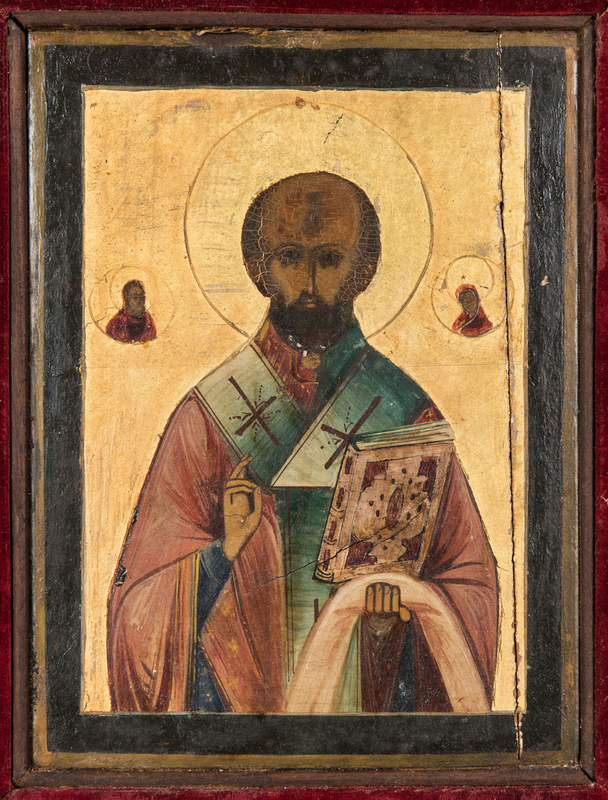 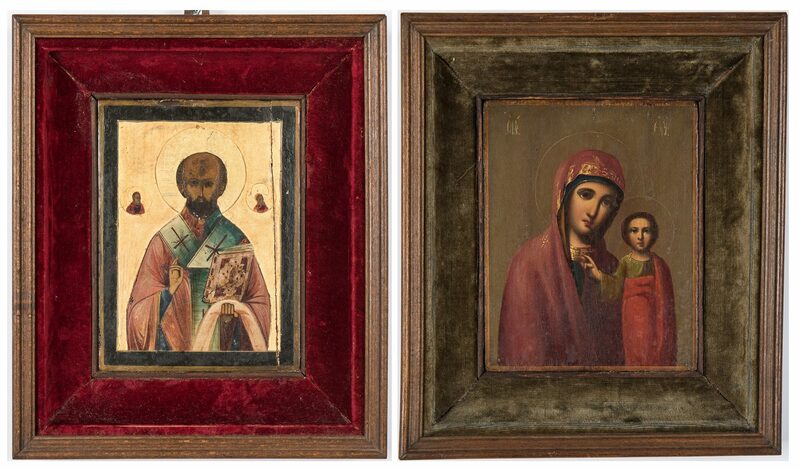 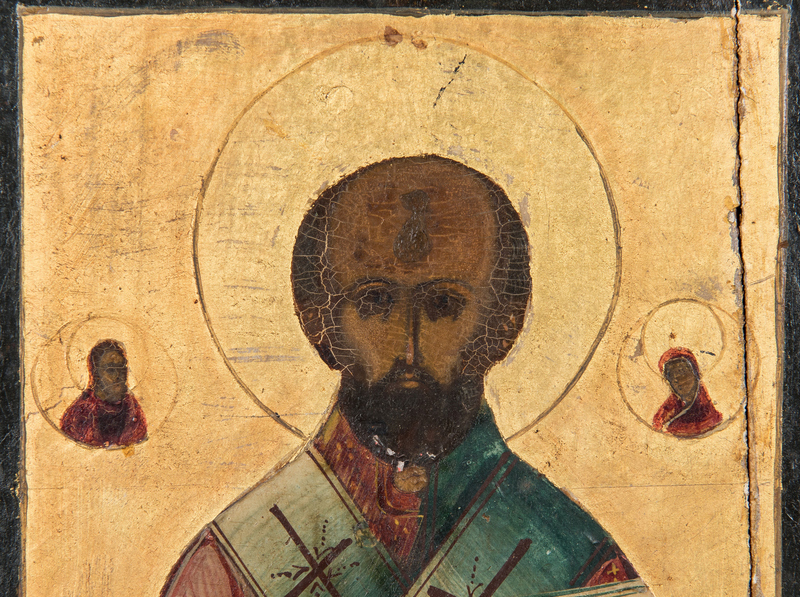 Two (2) religious icon paintings, likely Russian or Greek, one depicting the Madonna and Child, and the other depicting a Saint holding the Bible, flanked by bust length vignettes of other saints. 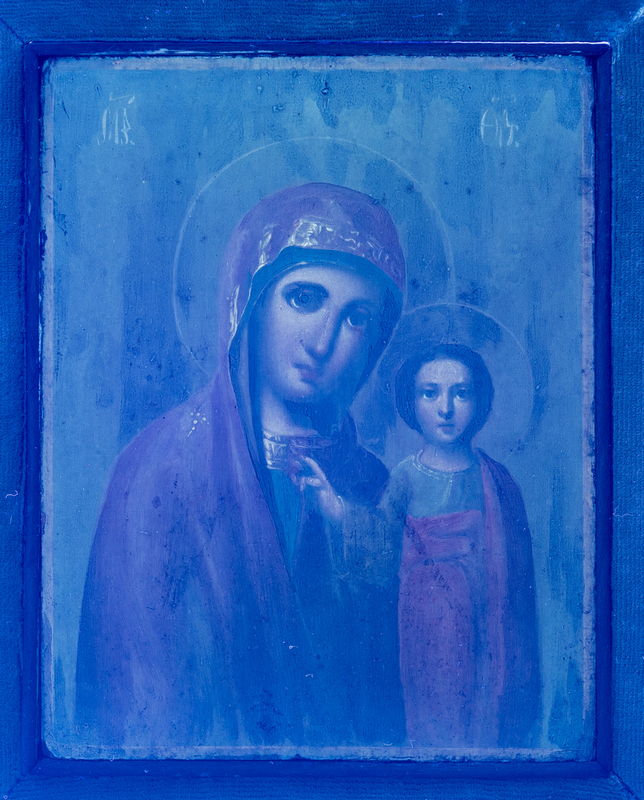 Each tempera on panel with velvet mat and stained molded wood shadowbox frame. 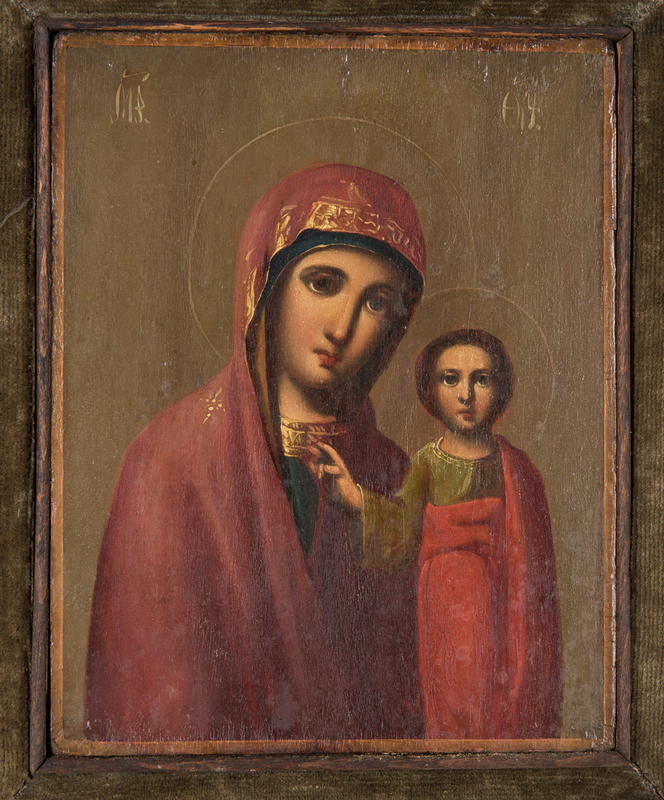 Madonna – 7" x 5 1/2" sight, 11" x 9 1/2" framed. 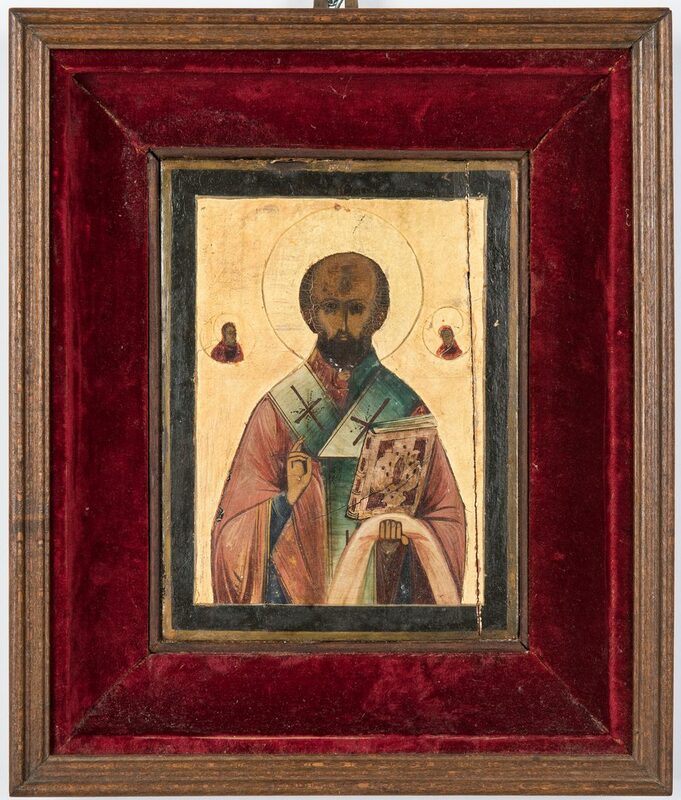 Saint – 7" x 5 1/4" sight, 11" x 9 1/4" framed. Continental, late 19th/early 20th century. 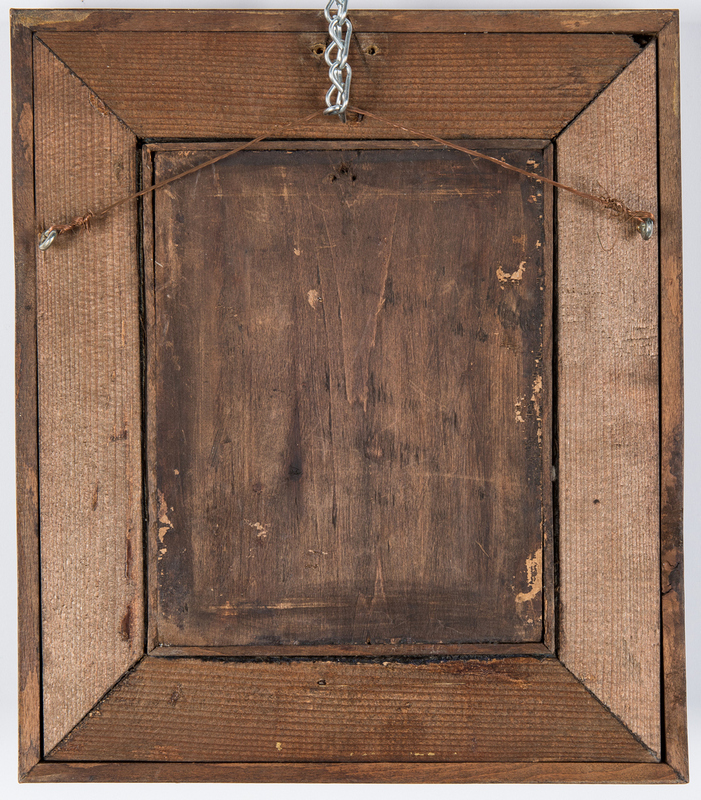 Provenance: Estate of internationally known ragtime pianist and historian Johnny Maddox, Gallatin, TN. 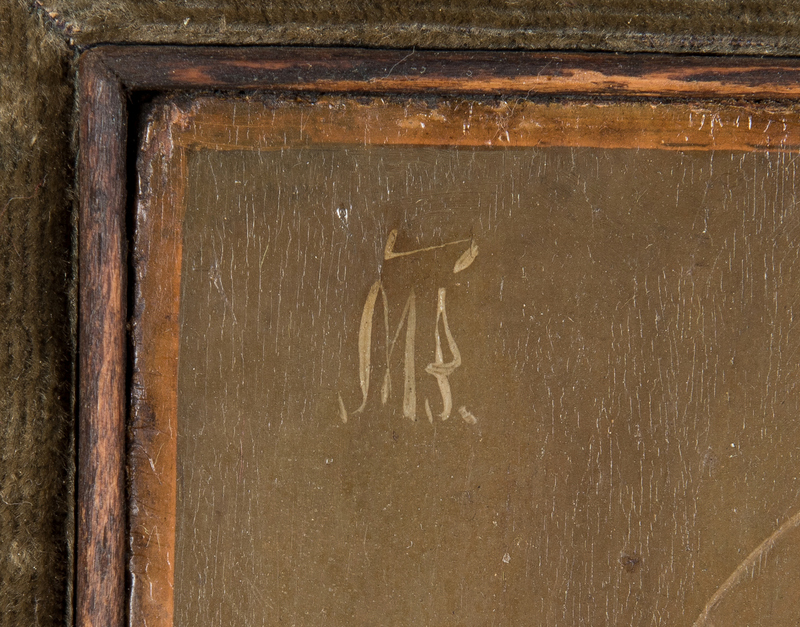 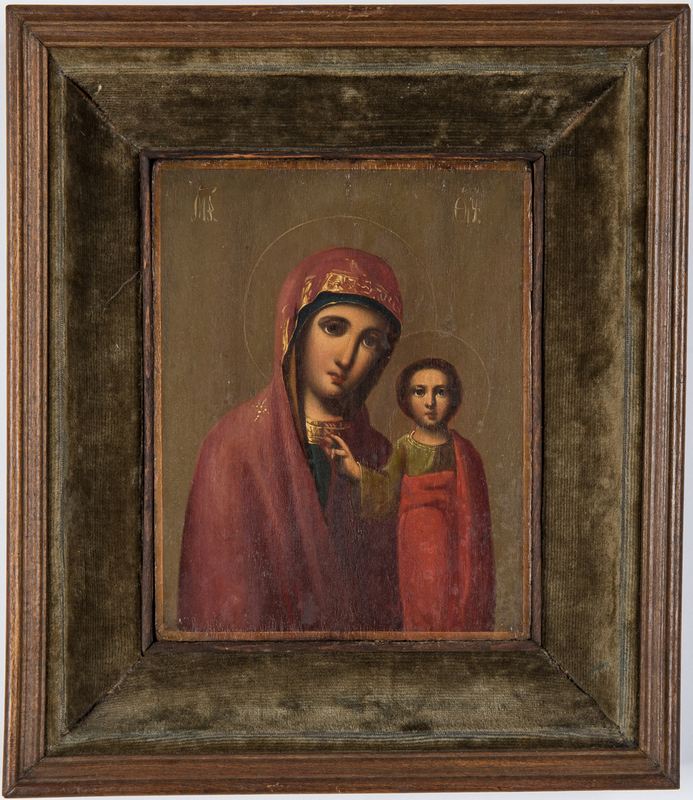 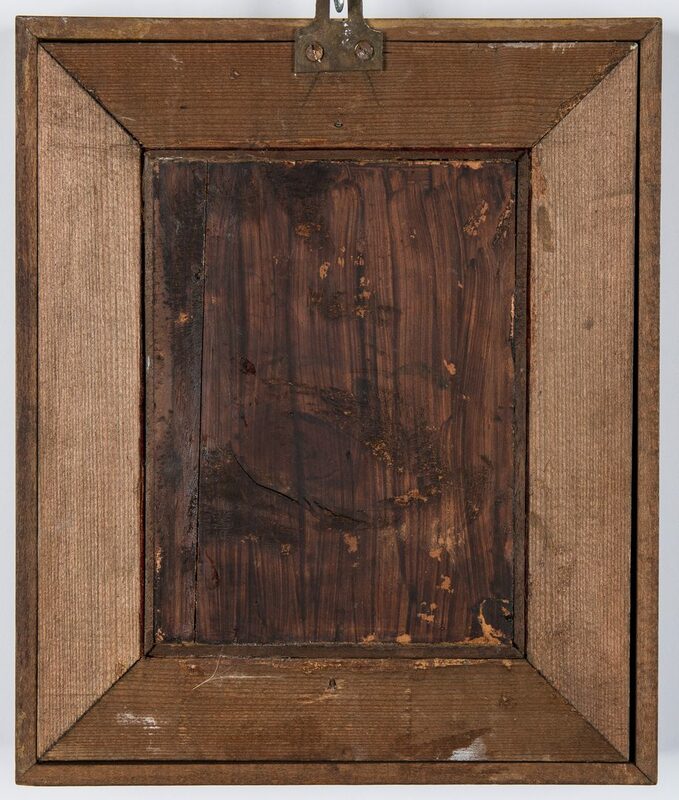 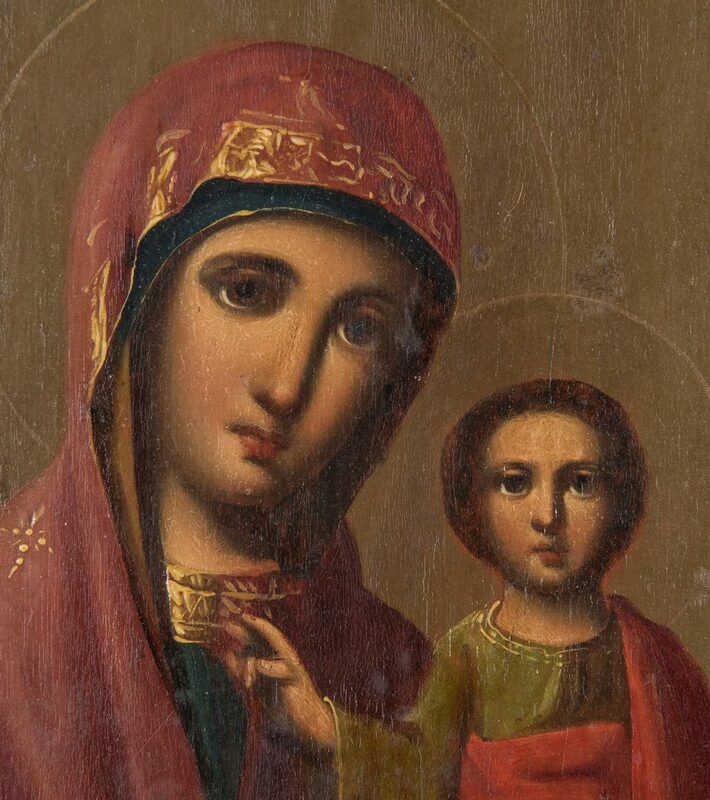 CONDITION: Madonna and Child: Very good condition, loose in frame. 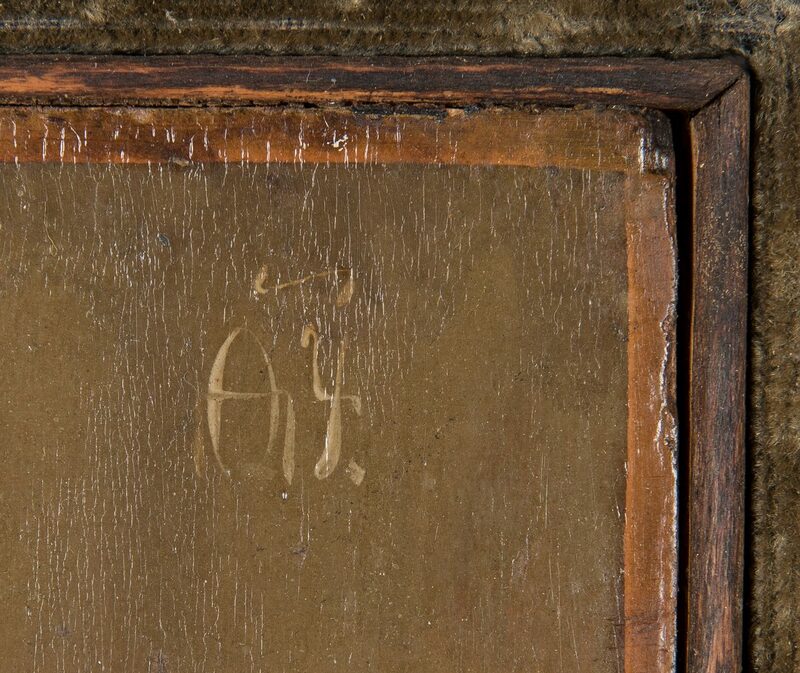 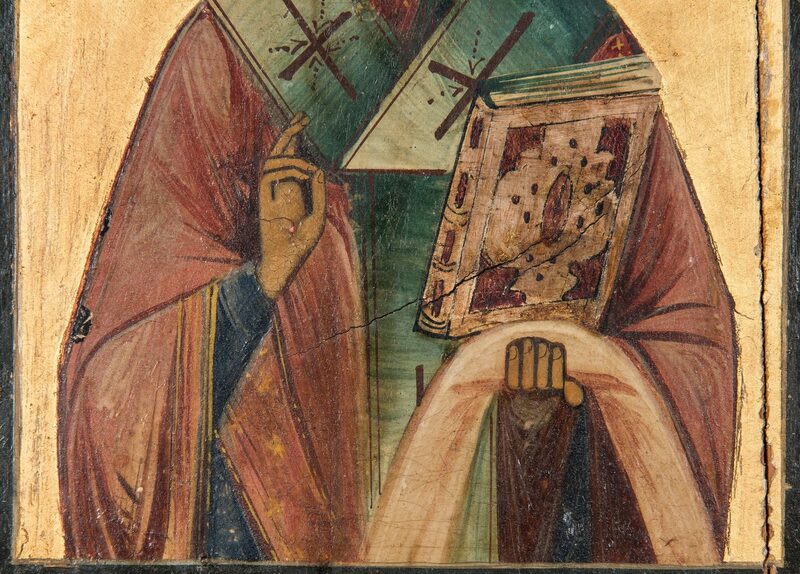 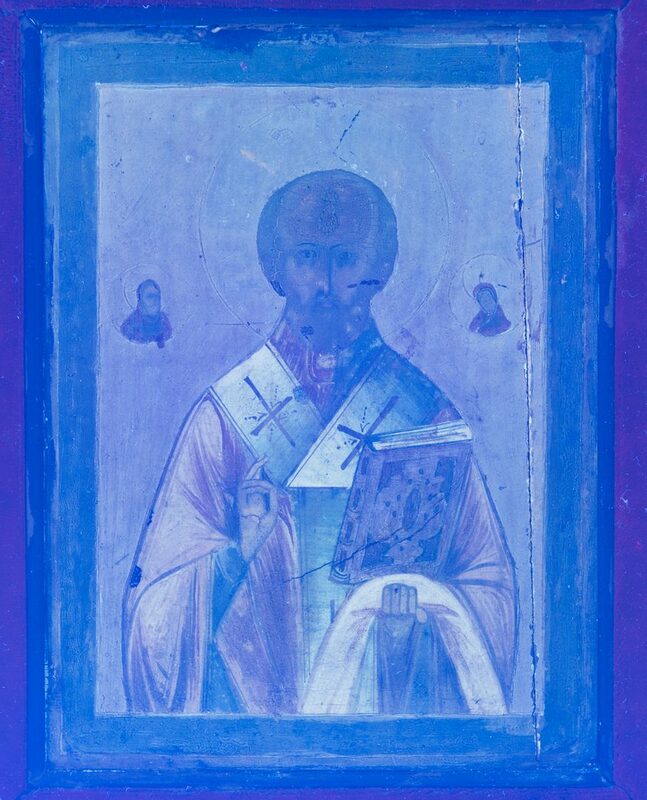 Saint: Craquelure, especially to hair, full length vertical shrinkage split to panel at right side and some smaller shrinkage cracks across Bible.